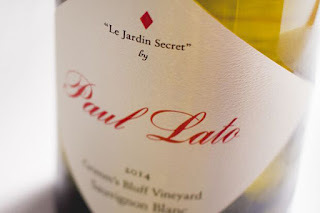 Paul Lato is one winemaker whose own story is almost as good as his amazing wines. His highly acclaimed pinot noirs -- always rich and site-specific -- perhaps come from an approach that thinks of wine as food and not drink. Born in Poland, having worked as a sommelier in Toronto, he was drawn to California's Central Coast in 2002. Want to read the rest then do so at KCET's Food Blog.